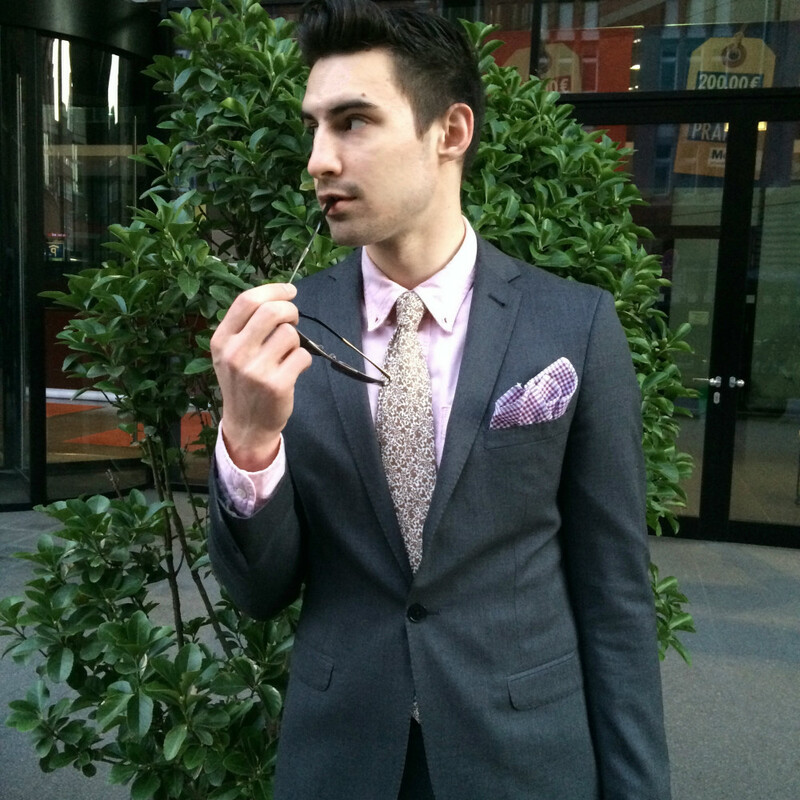 A well tailored single breasted grey suit is definitely one of the work horses of your wardrobe. 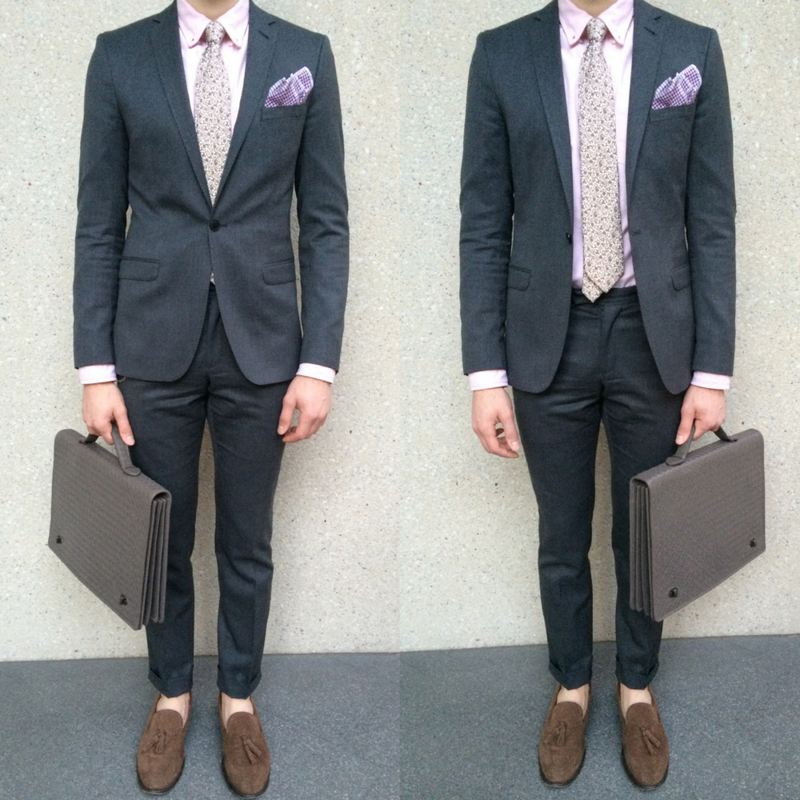 Having this suit along with a navy blue one will give you unlimited styling options. 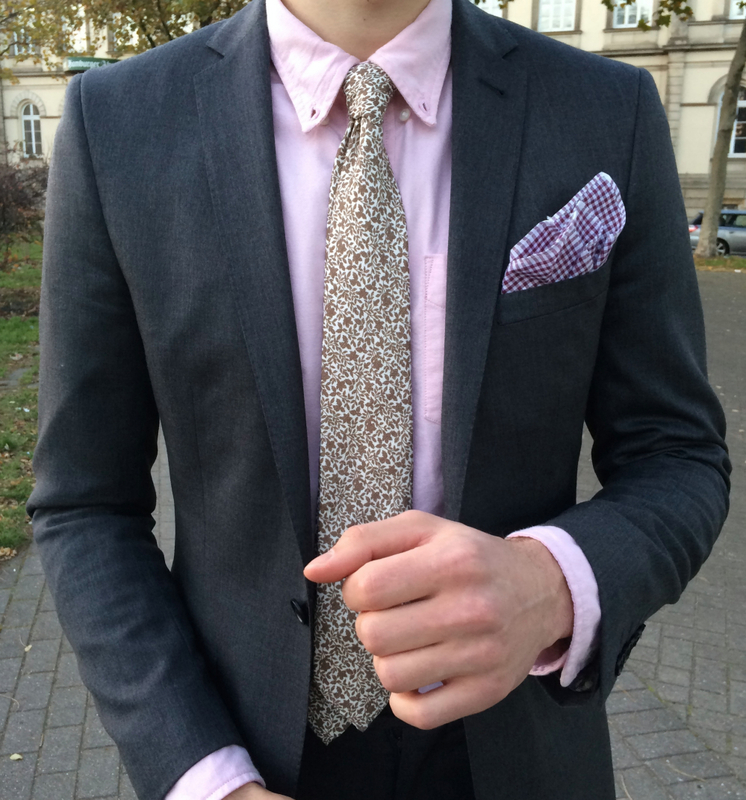 Wear it for a drink out with friends, to a job interview and even a wedding. Today I went somewhere in between business and business casual. 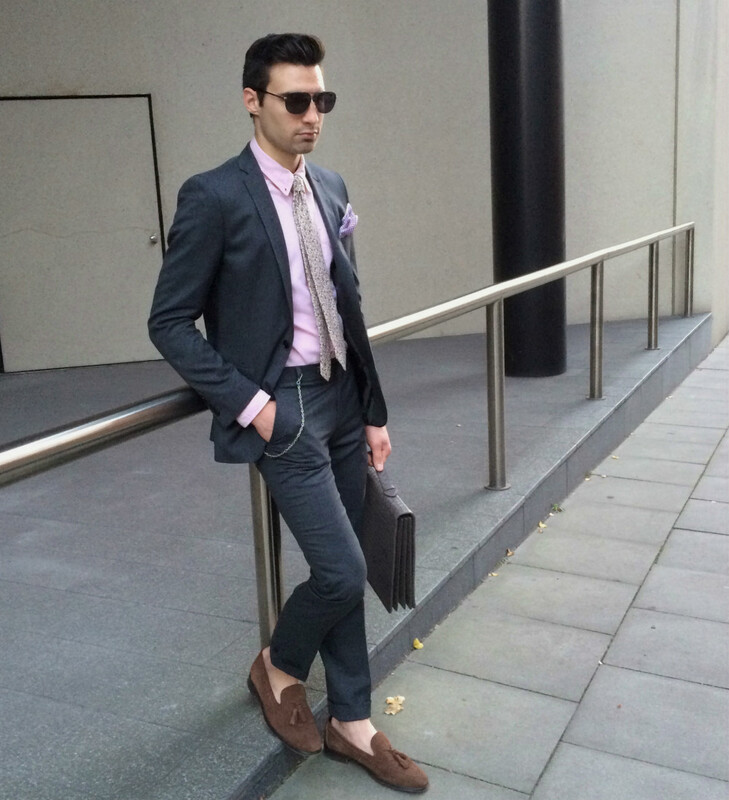 This outfit is serious enough to wear to the office and at the same time has a few trendy elements thrown in with it. I wanted to wear a tie but also create somewhat of a relaxed outfit. 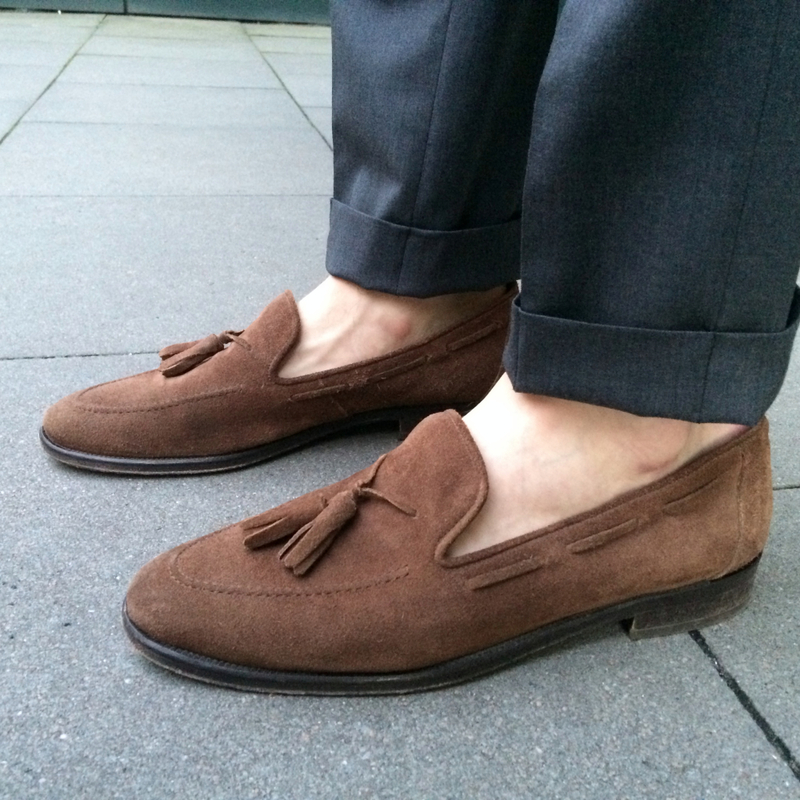 To do that I kept the collar buttons of the shirt unfastened, wore a wallet chain and opted for no socks. I finished this look with possibly my favorite bag of all time. 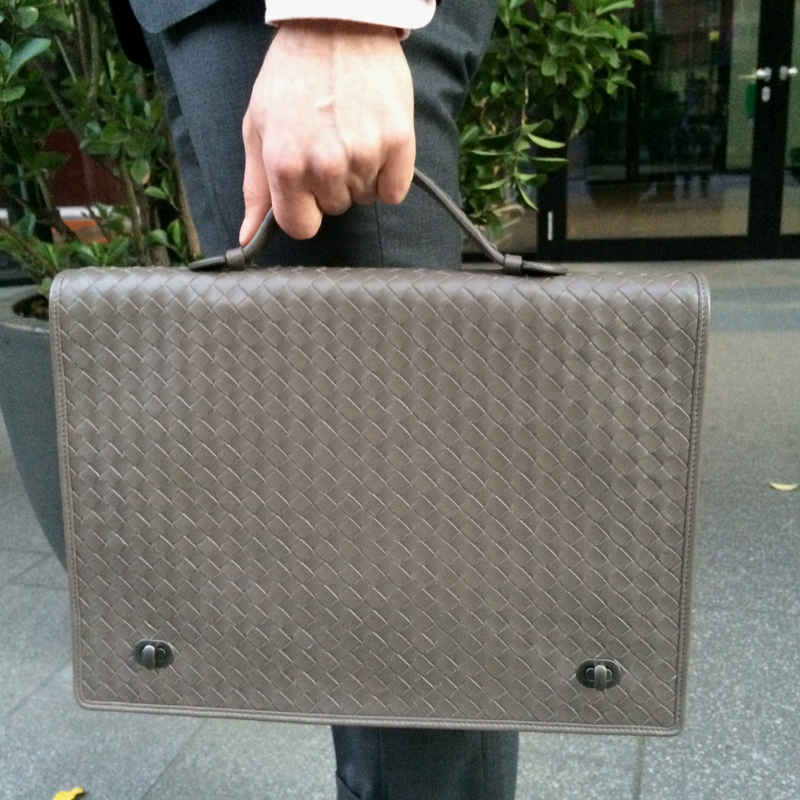 This Bottega Veneta briefcase is the perfect accessory to any suit. I hope you enjoy this outfit. 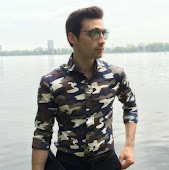 In the upcoming weeks I will show you a warmer and more relaxed way to wear this exact same suit and don’t forget that my giveaway featuring Bottega Veneta is coming later this week.